My husband and I met four years ago and immediately had a magnetic connection that neither of us had experienced before. He had 3 children from two different women and I had 1 child from my previous marriage. We jumped right into life together, blended our families pretty much right away and within 4 months we were expecting our son. We were very excited about having a blended family and building a life together. Throughout our first year together, it became noticeable that I was taking care of all the responsibilities in the house and with the children. Not to mention that he had never taken care of any visitation agreement through the court for his children, so there were extensive boundary issues with his exes. He did tell me that he had PTSD and how he would meditate or workout to work through it, but I really didn't quite understand how much the PTSD was affecting his life. Quickly I learned that at any point in time, in any conversation (especially when challenged in any way), he would snap and be on attack mode, to include: yelling, running up to scream in my face, getting angry in front of the children, swearing and saying awful things to me as if I was the enemy. This behavior persisted no matter what I did to try to change the conversation, evade the conversation, leave the room or even leave the house. I begged for him to change this because I couldn't handle it. This made me feel like I was always walking on eggshells trying to make sure I didn't offend him. This stopped me from feeling comfortable sharing my feelings with him and left me feeling completely abandoned. It also made my already somewhat codependent behaviors horribly worse. Along with these behaviors was also an immense Narcissistic image that he portrayed where he has an insatiable desire for attention especially from women, would remind me that I should be lucky to be with him because he could have any woman, and seemed to have a severe lack of empathy as to how any of this affected me, even while I sat beside him in bed and sobbed while he acted like he couldn't even hear me. All of this time, he hadn't been seeking help for the PTSD because he had had an awful experience with the VA when he first returned home from the USMC. I continued to let him know that I felt like he had an emotional barrier that he never let me in and was pushing me away. These behaviors persisted with constant conflict until I decided to separate from the marriage in February. I couldn't let my two little boys watch their mom be treated like this anymore. Since I'm a Christian, I really didn't want to get divorced, but instead knew we needed a break from the conflict to be able to evaluate what truly matters. I went to a Christian therapist and after she met with my husband, she advised me to focus on praying for his health and to recognize these behaviors and to allow for God to work through his heart, rather than looking for reconciliation at that point. I did this for 2 months and gave up complete control to God. I asked God to help me work on releasing the bitterness and resentment I was carrying for him and truly forgive him. A few weeks ago, he confessed to me and acknowledged that all of these behaviors are wrong and apologized for neglecting me in our marriage. This was a big step for him. Since then we have been talking about our needs and feelings with each other. As of yesterday, we attended counseling together to begin our journey of reconciliation. We have a lot of work to do, but both know that our marriage can be saved if God is at the center. My husband accepted Jesus into his life and has been putting in work in his faith journey. In the past 3 weeks, he is literally acting like a different man. I feel so blessed to be given this second chance to thrive in our marriage. 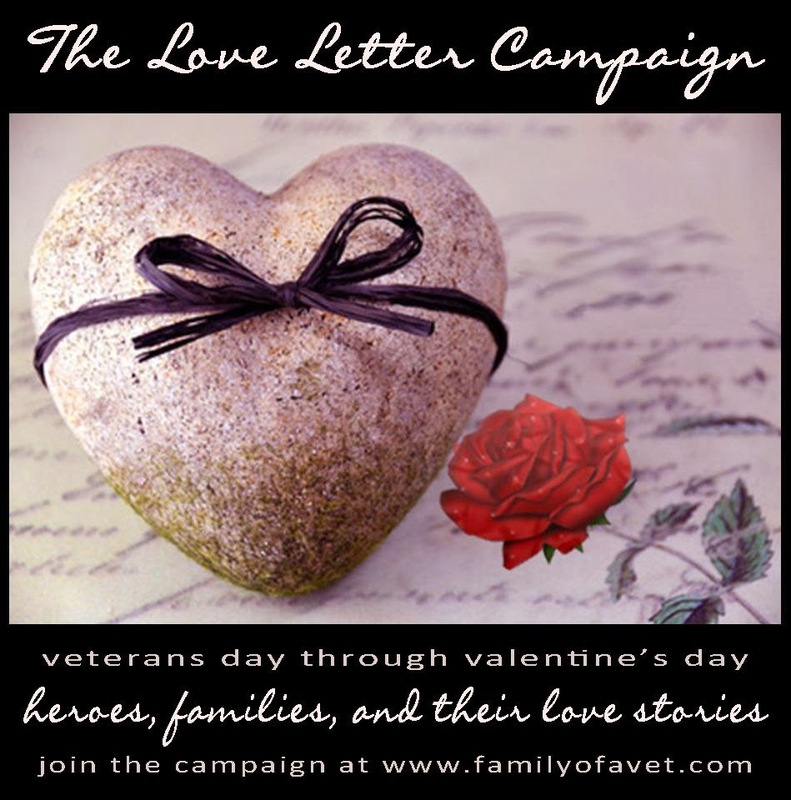 I'm so thankful for sites like these that help to support families of veterans with PTSD. I am really trying to learn more about how to help and support him with his PTSD, instead of allowing it to cripple me and internalize all of it myself. Thank you for the resources you offer to families like ours. Over the years I have wondered about you, if you are ok? You seemed to want to chat, I listened quietly and respectfully to your stories of war, despair and depression, to experiences you had at Long Tan, felt your need to unburden, felt your need for someone to care, someone to care enough! "What a lovely honest man, hope he enjoys himself, he certainly deserves to"
It was an honor Bill when you asked me to attend the Memorial Service. During the service I looked upon the faces of those who were once young and full of hope, now worn and full of despair, men who were proud to serve their country! This was the opportunity to talk to the wives of the hurt, damaged and trying to cope. As I spoke to the women over breakfast, I listened too to their stories, the love and despair and sense of loss they had for the men they had married, men who returned from Vietnam changed for ever more. I consider Lieutenant Colonel Harry Smith, MC SG the finest of Australian men, he fought on for the recognition of his soldiers, he fought the good fight after the war, at the age of 83 he fought on and won! Harry spoke out and it was done!! You, you're amazing you have that thing about you it makes me love you even more, I'm not sure if its your brown hazel eyes or your amazing smile, No Wait, it has to be the way your one dimple shows and the other is to shy no its not that its your beautiful scars I love Nope still not it I cant seem to figure out what it is, maybe its the way you make me laugh or the way you say my name, or maybe its those moments we share, those nights you hold me so close or the late night talks about random things, maybe its in the way you seem shy about the smallest things, maybe its just in the way you correct me when I'm wrong or help me when I'm doing the wrong things, Maybe just maybe its your way of talking like a comedian to make me laugh, maybe its when were watching movies and I have to play with your stuffs, I'm still trying to figure this one out still not sure which moment I fell in love with you, is it the way you make me laugh until my tummy hurts? Or the way you try and make me succeed, is it the way you see so much in me when I see just a little? Maybe its in that moment we met and you smiled, our story started with a stir and a sip, maybe its in the way you love the little things I do for you, or the Little things you do for me Your Touch it has to be that, so soft and tender it makes me shiver all over, maybe its the way you look when you sleep so Peaceful and adorable, it could be those moments when you just do something so amazing that I cant help but stare, I just don't know Maybe its because I'm so much me when I'm around you the moment I fell in love with you When When When Is it the moment you said you love my eyes or the moment you kissed me deeply, was it the moment you adored me or the moment you said I'm cute, maybe its the moment you smiled at me that made me go crazy inside, Maybe it was in the way you laughed or gave a random smile for no reason I'm still trying to figure this one out I wont lie when I met you I was too shy to talk to you, only because you're this little ball of perfect person, me on the other hand not so much I don't know what it is you do, but I cant seem to help myself but to love you, something you do that I cannot describe, you make me love you more every day, I want to be all that you need, I cant help but to love you, I cant. I have never wanted someone so much in my life, every time I try and let go I find myself falling more in love with you, sometimes just by the way you smile the way you laugh even a simple joke you make makes me fall in love with you all over again. You mean so much to me and I cant describe what it is you do, but your that one person I can count on that one person I am willing to do anything for if you want a bagel that is made in the USA, I would fly to the USA, buy that bagel you want fly back and make sure you enjoy it, I would do it without even thinking twice, your simply amazing in everything you do, I cant seem to want to lose the love I love the most. Was it the way you wanted to see me happy? Or the way you try so hard? It could also be in the way you move your foot when your sleeping or the way you talk in your sleep, sometimes I sit in silent trying to figure out how it is I came to love you, the silent thoughts of you make me smile and blush, the thoughts of you take up most of my days, your amazing touch when I close my eyes, your amazing smile when I stare at you, your amazing laugh, your amazing eyes the amazing you Nobody is going to love you like I do, it hurts knowing I cant make you mine, even though I want to be the one making you happy every day. Your amazing mind, your ability to never give up, the way you analyse everything you do, the way you try so hard that makes your mind beautiful, sometimes I want to be in your mind just to know your thoughts or just to know what makes you happy. I'm falling for your eyes but they don't know me yet, this feels like falling in love, you're my safety and I just want to be your lady, this feeling I cant forget I'm in love now. Forgive me for saying this but I could make you the happiest person alive if you gave me the chance to try, I could give my all to you, I could make my life fit into yours, I want to have you that's all, all of you. I've known you for so long but long enough but yet I feel like I have known you for many years. If I could I would make more sense to how I feel about you, but there is something I cant figure out about you.